Posted in: Signs. Tagged: display, Offaly, Roscrea, Signs, stand, Tipperary. A&K Insulations specialise in insulating your home. Based in Birr, Co Offaly they bring their expertise nationwide. 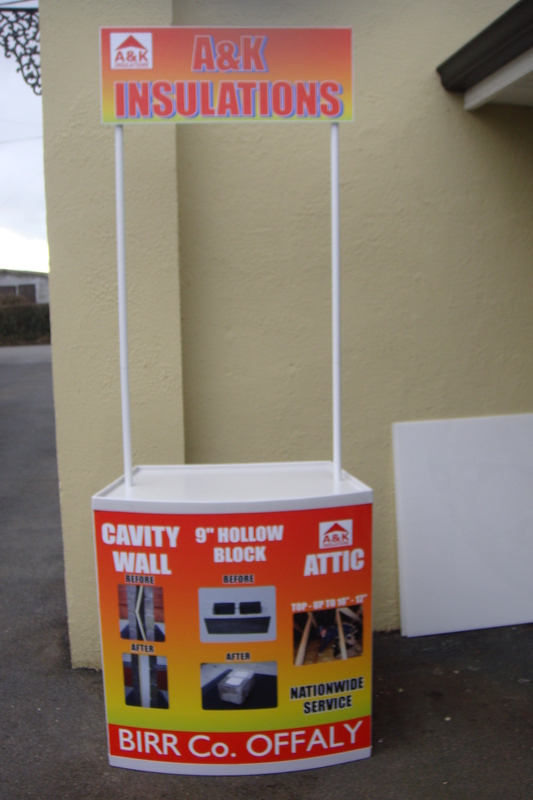 Stand designed and made by Roscrea Signs.